THEY did themselves, their families, their clubs and Cuestars proud. 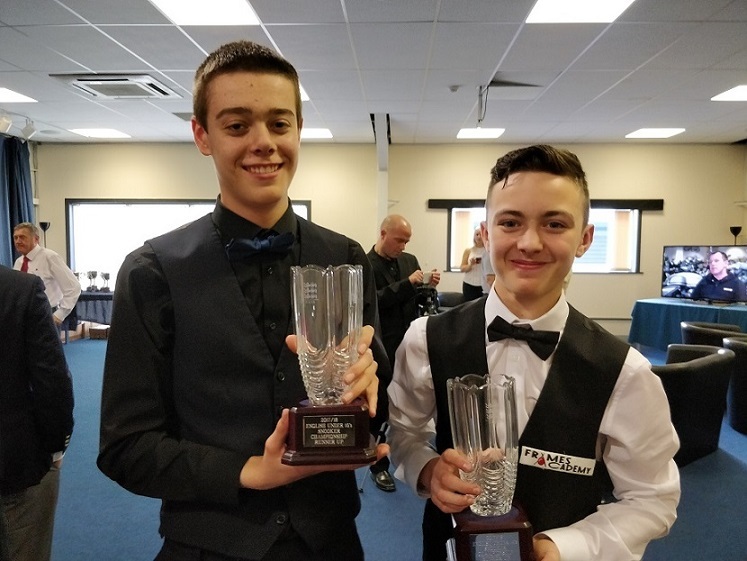 Bradley Cowdroy and Ronnie Sullivan may have lost their first ever national finals but Cuestars director John Hunter insisted they both “fought really well”. Cuestars Gold Tour rankings winner Bradley lost 6-4 to Ryan Davies in the English Under-16 Championship at the South West Snooker Academy. Ryan, who is from Oldham, finished seventh on the Premier Junior Tour this season. He was also in the Under-18 final and two billiards finals. Cuestars Bronze Tour rankings winner Ronnie lost 5-1 to Paul Deaville in the Under-14 final. Paul is from Liverpool and he ended this season 19th on the Premier Junior Tour. However, there were actually three Cuestars players in action during the EASB finals weekend. Steven Hughes was chosen to referee his first national final. The 16-year-old from Chandlers Ford, who qualified at the age of 15, officiated the match between Ronnie and Paul. Bradley Cowdroy (left) and Ronnie Sullivan. 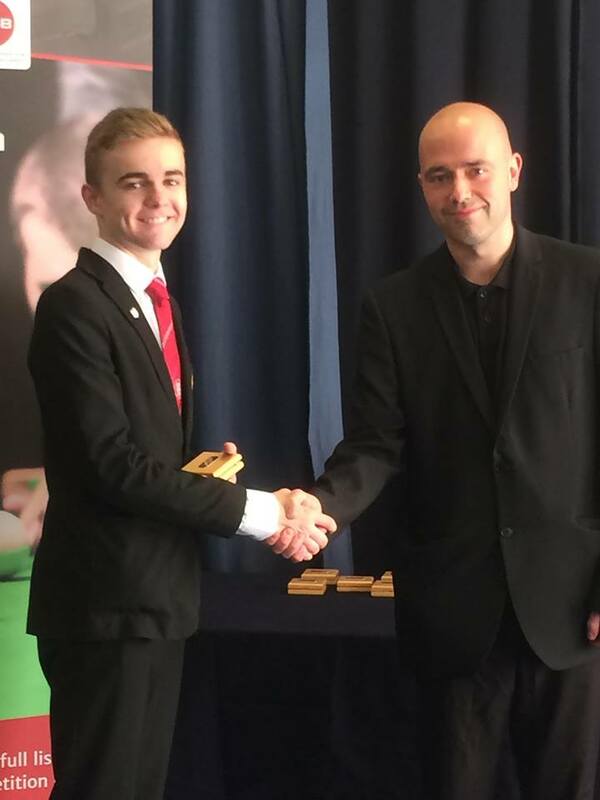 Steven Hughes (left) receives a commemorative medal from Snooker Scene magazine’s Marcus Stead.